1 – Plasma donation is dangerous and has many adverse effects. FALSE – Plasma donation is safe and regulated by trained professionals throughout the entire screening and donation process. Some short-term side effects might include dizziness and fatigue due to dehydration because plasma is made up of 90% water, but generally side effects are few. In order to limit these side effects, donors are encouraged to stay hydrated both before and after donation. 2 – Only impoverished people attempt to donate plasma because of the payment. FALSE – Many people donate because they know that plasma is used to develop life-saving drugs and therapies. Compensation for those who cannot afford a comfortable lifestyle is always beneficial, however every patient regardless of socioeconomic status must go through a thorough a rigorous screening and evaluation process in order to donate. Eligibility depends on donor health and reasons for donating vary. 3 – Plasma center technicians don’t even need a medical or nursing degree and aren’t trained. FALSE – While it’s true that technicians are not required to hold a medical or nursing degree, each technician is thoroughly trained, certified, and qualified to assist in the donation process. Additionally, each plasma center is required to staff a nurse and/or a doctor during donation hours. All employees managing and working in the center are knowledgeable and trained. 4 – It is unhealthy to donate twice a week, even though the U.S. Department of Health allows it. FALSE – It is healthy to donate once or twice each week, if there is a 48-hour period between each donation. Plasma is 90% water and frequent donation will not harm you. It can lead to side effects such as dizziness and fatigue, however staying hydrated can help avoid these. 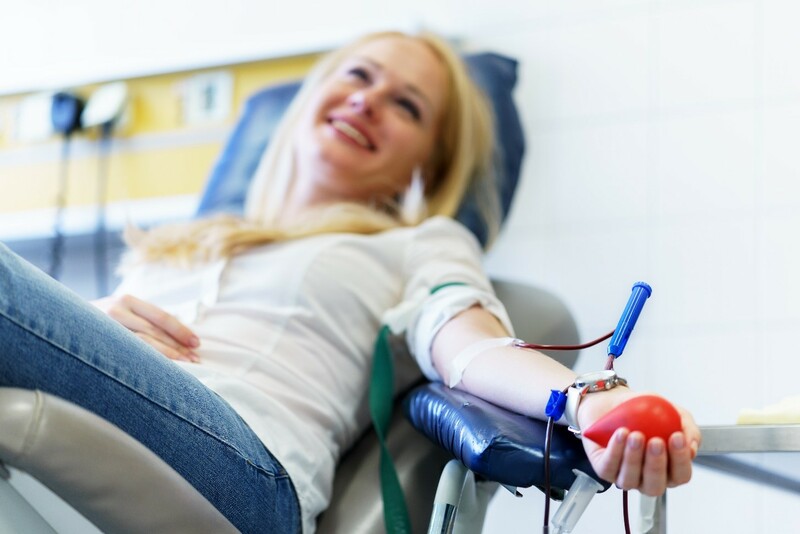 While the same restrictions may not hold true for whole blood donation, donating plasma twice a week is safe, effective, and will not put patients at any major risk. 5 – The history of plasma donation is controversial, it can’t be that much better now. FALSE – While there has been some historical controversy with the plasma donation industry, new technology and increased quality in medical grade construction materials and equipment have dramatically advanced the donation process and hygienic conditions of plasma centers. In order to ensure a safe and comfortable experience, be sure to attend a state-regulated and FDA approved plasma center for donation. 6 – Credibility is at an all time low because people lie during the screening process in order to get compensation. FALSE – The screening process for each donor is rigorous. If screened properly, the first visit can last up to 2-3 hours. Additionally, if an approved patient’s medical tests come back positive for certain viruses/diseases, their plasma is immediately destroyed. Plasmapheresis and fractionation are intensive processes that create clean safe plasma for those in need.